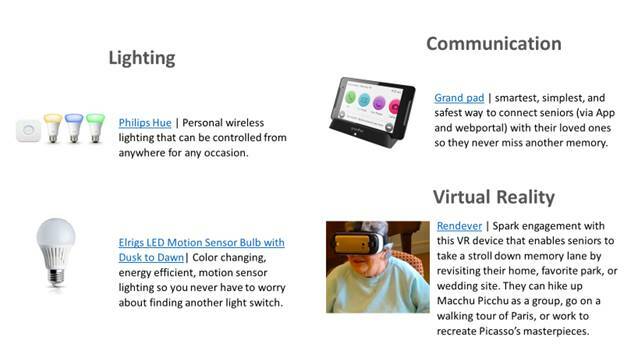 Satisfying Retirement: Technology and Seniors: What is Available To Help Us? The home EKG sounds interesting, but my doctor doesn't trust the blood pressure readings I take at home. If I forget my medicines it's the ones I take in the evening so a maybe Epill dispenser. Those motion detector bulbs don't work when you put them in a lamp as the shade or housing often obscures the sensor. Otherwise I'm still okay with my old un-connected devices as they are. I have yet to be motivated to have my Echo Dot turn my lights on or off. Like you, I'd rather have a doctor check my EKG. If something doesn't feel right, 9-1-1 would be my first call. I can see a real value to the pill dispenser. My dad always struggled to remember. With an alarm system I would have felt better about the state of his pill-taking. Technology is good ... if only they could make it easier to use! I tested a tablet once for AARP that was supposed to be easier for seniors. Unfortunately, it was every bit as confusing as any tablet on the market: too many choices and too tough for someone who isn't computer savvy to set up. Enjoyed catching up on your last several posts. Technology...I find that as technology advances, I get further behind and use less of it. I remember the Dalai Lama laughing at his own fascination with gadgets, even when he didn't know what they were for. That is not me. I find it easier sometimes to do without. But the technology I do use, I'm very grateful for. Indeed, it is what connected me to you and Betty! I should write a follow up post about the Echo Dot I bought this past summer. I use it to play music but nothing else. With a iPod and streaming music choices even that isn't too often. 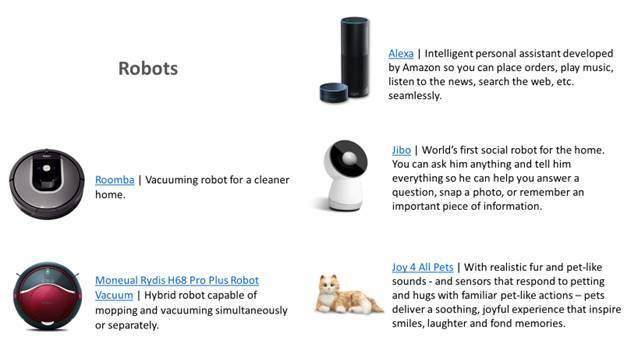 All the other things Alexa could do for me go unused. That said, I can see the benefits of some technology as I age. Self-driving cars may become commonplace just about when Betty wants me to hand over my keys. The pill dispenser pictured above is a nice safety choice. Even having lights turned on or off at the sound of my voice may be a help when my knees are a bit more creaky. And, yes, blogs and the Internet brought us together. My kids have the Roomba (all hardwood floors no carpet) and if you dont have carpet it is the best.thing.ever. especially if you have dogs. It will go under the furniture and into corners you save for the once a year deep cleaning and all you have to do is set a timer. It also amuses the dogs for that hour. My Alexa device is the smartest thing I've done in years for a variety of reasons not the least of which is I can turn around and ask it Alexa what is (blank) and it will have an answer, whther it's a computation or a measurement when cooking or anything else. Worth every penny. My personal philosophy is that if you're already sitting down and using a remote for your telivison or DVR, you're doing the same thing as using an Alexa device. I also use alexa for audio books, reminding myself to do something as I walk around the house instead of writing it down, it's fitbit attached and light bulb attached. I dont have a smart home or home security, I have dogs, lol. Having said that, we need a new thermostat and when I get one it will absolutely be one I can hook to Alexa. 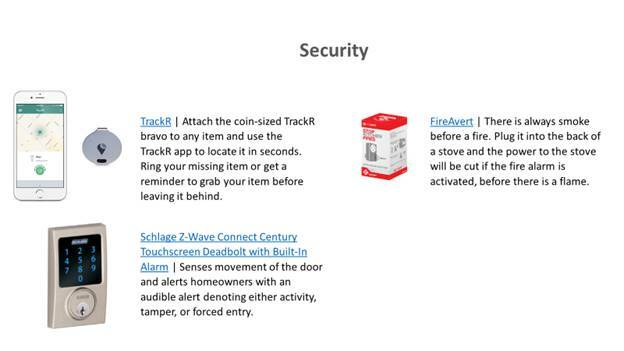 I LOVE both the idea of the fire avert (had not seen that) and the phone tracking device. Anything that is a home safety device is improvement. 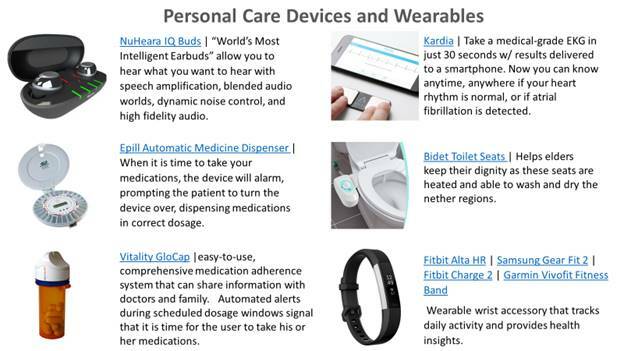 So I think all three of those things are not for seniors as such but just basic smart living. Im not sure I would trust and EKG device, I have writst blood pressure cuff and I'm not sure that is as effective as the one they use in the office. I think almost everyone should have a fit bit, even if they dont wear it every day (I wear mine at night to track sleep as well), and I think the round medicine dispenser might be helpful for the klutxy among us. 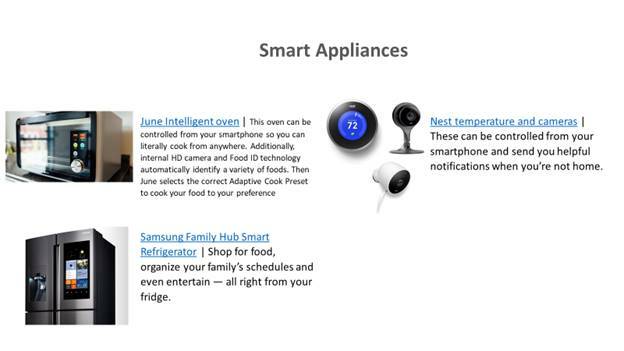 I do love all the smart appliances, I'm just not willing to pay for any of them, ha!!! The smoke alarm that attaches to the stove is an excellent safety tool. Too many seniors forget that something is on the stove and can start a fire. The cutoff feature is an excellent idea. What I need is to take the time to discover how to use Alexa for more than just music and an occasional joke. Your list has prompted me to see what I am missing. There is a coming wave a new retirees like me that have spent most or all of their working lives dealing with technology. Heck we invented half of this stuff. These cheap injection-molded big button devices with reduced functionality will not fly at all with me and my peers. 1 - Self driving/autonomous vehicles. I watched my Mom become a prisoner of her own home. Being able to summon a vehicle (wheel chair ready) to take you out without having to bother friends and family will keep Seniors active and engaged. 2 - Wearable exo-skeletons. Once confined to sci-fi, these suits are being used in the real world in various manufacturing jobs and the military. Just a matter of time before they will be available to those with bad knees or a bad back. Again, anything that gets us up off the sofa and out into the world will add years and quality to our lives. 3 - Virtual and Augmented Reality - That one was on the list above and for good reason. Sharing experiences with close friends who live far away with VR will be a killer application. I'd love to have "courtside" seats and watch a game with my three best friends, talking and laughing like we were actually together. And AR (something like next gen Google Goggles) would be a game changer to those with dementia and memory issues. Having something that tells you who everyone is and other critical data would ease stres and shame for those who can't always remember. Sorry for the rant :) I love that your blog inspires these kinds of conversations. I may start a blog of my own on this very topic when I finish up a few other projects! You make an excellent point. We have spent the last 40 years with constantly evolving technology. The AARP tablet was just a tablet with a few bells and whistles for non-techno people. I think they missed an opportunity to make something special for those who are still a bit uncomfortable with computers and such. The self-driving automobile will be an absolute freedom machine/life-saver for older folks. Uber or Lyft are great but make no sense to go to the drug store a mile or two away. Wearable exo-skeletons is something I am aware of but never thought of it for folks with bad joints. Knee and hip operations are so commonplace that it will be a serious learning curve to think of this as an alternative. Obviously, they would avoid all of the complications and recovery time implicit in a major operation. The AR is something I have not heard of before. So, it could identify people and places as you looked at them? That would be fabulous. This was not a rant at all, Richard. This was a tremendous addition to the conversation. You know, on many levels I can relate to your lifestyle choices. I always have several books going at one time, like to listen to the BBC or New Zealand radio on the Internet, and enjoy music of almost any kind. Your perfect setting sounds a lot like Walden Pond. Henry Thoreau seems to have done quite well in that setting, though he didn't have a piano!